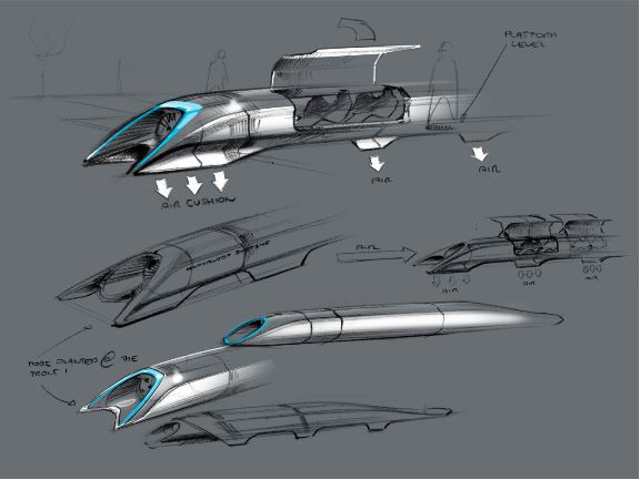 Billionaire Elon Musk released alpha designs for his Hyperloop concept on Monday. Photo by Tesla Motors. Elon Musk’s futuristic Hyperloop concept has the public thoroughly divided. The latest idea from the Tesla and SpaceX founder is essentially an enormous high-suction tube that would transport riders from San Francisco to Los Angeles in about 30 minutes. Each rider would sit in his or her own individual pod and travel up to 800 miles per hour. Entrepreneurs, policymakers, media, and transport experts alike don’t know whether to call Musk’s designs innovative or outlandish. Some praise the Hyperloop as forward-thinking and a certain game-changer, while others blast it as impractical and criticize Musk’s plans for their lack of detail. There are two sides to this unfolding story, and it’s hard to form an opinion in the midst of the ongoing media blitz. Is the Hyperloop just a pipe dream or is it the future of city to city transport? Here TheCityFix weighs both sides of the debate and invites you to sound off. Much of the debate centers on comparisons between Musk’s idea and California’s $68 billion high speed rail project. Musk claims that the state’s rail project is “one of the most expensive per mile and one of the slowest in the world.” In reality, he’s not far off. Because of the cost of acquiring 1,100 pieces of land to build the rail system, the price tag on California’s project has only gone up since its approval by voters in 2008. Musk claims the Hyperloop could be built for as little as $6 billion, and tickets would cost a mere $20 per person. A trip from San Francisco to Los Angeles for less than half the cost of a tank of gas? Good luck finding a Californian who will say no to that. 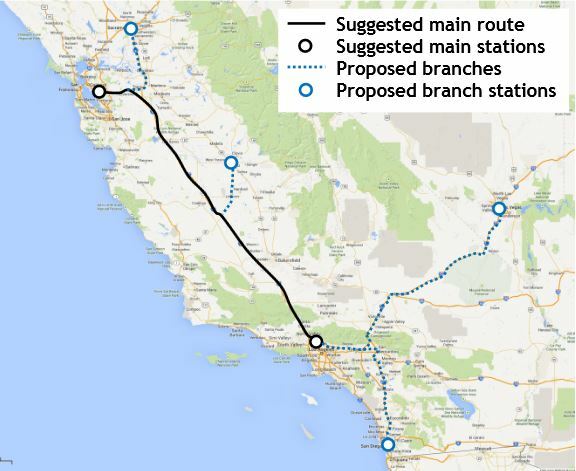 The Hyperloop would connect California hubs in the San Francisco Bay Area and Los Angeles, with the potential to extend to Sacramento, San Diego, Fresno, and Las Vegas. Photo by Tesla Motors, map via Google Maps. Not everyone is convinced that the Hyperloop is the answer to California’s transportation woes. Perhaps the most convincing argument that Hyperloop’s detractors have is that Musk’s plans are nebulous at best. His 57-page white paper is filled primarily with sketches and mock-ups of the pods and tube system. It does little to spell out how Musk arrived at his construction cost estimates, and projections for operating costs are conspicuously absent. Furthermore, the actual design for the pods, tube, and other vital components are yet to be tested. The idea is still very much in its rawest form, and supporters of California’s high speed rail claim the comparison between Musk’s idealistic vision and the state’s tangible project are unfair. There’s also the not-so-small issue that no one is actually planning on building the Hyperloop, including Musk himself. Musk has stated that he will remained focused on Tesla and SpaceX, but claims that a technically adept group with adequate resources would be able to break ground on the project in seven to ten years if it were dedicated enough. Sound off: Hyperloop or Hyperbust? So, dear reader, what do you think? Is the Hyperloop the next great innovation in city to city transport, or is it merely an outlandish idea from an eccentric billionaire? Let us know where you stand!